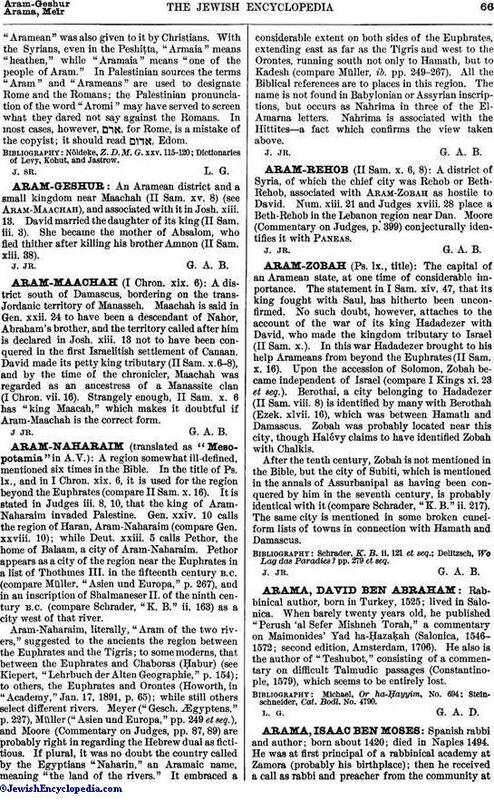 A district of Syria, of which the chief city was Rehob or Beth-Rehob, associated with Aram-Zobah as hostile to David. Num. xiii. 21 and Judges xviii. 28 place a Beth-Rehob in the Lebanon region near Dan. Moore (Commentary on Judges, p. 399) conjecturally identifies it with Paneas.